Over the last few weeks we've received several calls from new potential families regarding the lack of progression with their current or previous home gym. These families have called in to discuss not only what our program can do for their child but progression timing with their previous gym. Some of the concerns we've heard have been absolutely legitimate- if you've been with a program for over 6+ months and the only skill your child has mastered is a cartwheel (or an equivalent skill given the level of your athlete when you joined said gym), perhaps it is time to consider a different program. While some have been situations where the parent simply needed to trust the process and the coach. We stumbled upon this article in our quest to verify what our program feels to be the best expectation for families in regards to progression for each level athlete and the skill sets per level. After speaking with our director, Jimmy Flood who is a World Champion from the very prestigious program out of Florida- Top Gun All Stars, we decided to share the article and provide a quick overview of what to expect for an average athlete's skill progression. Please keep in mind this advice is given based on any skill level for the average athlete. An average athlete includes athletes who not only have an average athletic/physical ability in all things physical (not just cheer or gymnastics), but an athlete who is consistent with attendance and training, and an athlete whose desire is to improve. After all, if the desire is not present, there is no point. They've got to want it to achieve it, right? If you find yourself questioning an existing program, please note we are not putting this out there to encourage you to leave your home gym, but to question your current situation and double check your athlete is in the right class and with a coach that will allow them to achieve their goals. "I posted this over on my FB page and on my website. Thought I would share it here as well. Every season we hear a version of this myth passed around from gym to gym, coach to coach, parent to coach, posted on message boards, on social media or shared athlete to coach. "I feel I am not progressing as fast as I should." " _____ daughter started the same time as my daughter did and she is so much farther ahead of my daughter"
"We are leaving the gym because we haven't learned anything all year"
"He will never get the skills he wants if he is not put on a team that requires him to have those skills. He will just waste another year doing things he can already do." "_______ coach or gym said that you are holding the athletes back from their potential." "She can already do a BHS and a Tuck but she needs a layout or full in 3 weeks for school tryouts"
Fast progressions are a recipe to injury. You should run like the wind from anyone who like a snake oil salesman promises quick progressions and results in minimal time and effort. What you want is proper, safe progressions that build on each other. This does not mean SLOW! This means proper. This means safe. This means building one skill with a view down the road to the next set of skills your athlete will be doing and not seeing it as a one trick pony skill. Any coach that teaches a BHS without a view towards it being connected to a Roundoff and a Layout or more is guilty of coaching ineptitude. But how long? This is the impatience factor. Many do not plan for the moment properly and then are frustrated when they need a skill that they do not have. If I had a sure fire answer I would of retired a long time ago and sold the answer for a premium price. The correct answer I have is patience. It takes time. Each athlete will get thru this in a different time span. I often say in regards to tumbling that it takes 3 hours a week every week to progress safely and relatively quickly, barring sickness or injury. One hour for basics and body shaping, one hour for new skills and one hour for conditioning. Now to be honest most athletes don't tumble - not be in the gym but actually tumble for more than 1.5 hours a week. Cheer practice, or hanging with friends at open gym does not count. I am taking about concentrated effort at tumbling. That automatically doubles the time right there. So if you are already putting in less time it makes sense that more focus and effort should be put in during the time that you are there. Maximize your efforts in order to maximize your results. Every child learns at a different rate and pace. Every child. This includes your child. This is true in all areas of life. It is just often on painstaking display in sports. You actually see it right before your eyes. Yes it may be frustrating if you were the super talented and gifted athlete and your child is way more laid back and not as competitive as you were or still are. Yes it is frustrating when your athlete is looking up at the clouds when the play comes right their way. Yes it is frustrating when it seems like it is taking forever to learn this one skill - whatever it may be. Please understand that measuring your athlete's progress against another child is damaging your child so stop it! You don't know what they do behind the scenes to get better. You don't understand their level of commitment. You don't fully understand how genetics plays a part in their body make up, metabolism, etc. Doing this constantly is a recipe for failure and frustration. Yours and your athletes. The percentage of kids that are able to use this as positive motivation is smaller than those who would be impacted negatively by this. How many of you would throw your athlete overboard into the sea when you know they can not swim? Not one of you. Yet this is what many ask coaches to do when they demand their athlete that does not have skills be placed on a team that they do not qualify skill wise - just to be with friends, or to push them to work harder. You are literally asking coaches to help drown your athlete. And while there will always be a few outliers that will be able to survive and even fewer to thrive in this scenario, the truth is most drown. Blunt, but truth. Don't ever plan on your athlete being an outlier as a path to their success. The level an athlete is mentally, emotionally and physically conditioned to has a direct impact on their progressions. Even if we are aware that our child may not be as physically conditioned as another child, we quickly dismiss that as coincidental and not as a contributing factor. Where we usually always miss is the athletes mental and emotional conditioning and commitment. An athlete that is strong physically but weak mentally or emotionally is going to lose 9 times out of 10 to the athlete that is weaker physically but stronger mentally and emotionally. Good coaches know this. Great coaches build up all three areas constantly. There is a time when the sport will get hard. I promise that. Every sport will get hard. More will be required of them than ever before. Coming out of comfort zones will be necessary in order to move forward. There are no other options. Even the athlete that learns fast will have that bump sooner or later. Some skill will become a nemesis. Some progression will have them leaving the gym in tears. This is when being conditioned mentally and emotionally as an athlete will truly come into play. My contention is we need to prepare for moments like this way before they ever happen. This is also when they need you to be just a parent. Not a judge, not another coach, not offering bribes or punishment. Just a parent that loves their child unconditionally. A parent that will love their child if they are sitting on the bench or first string All American. Whether they just won Worlds or they were two teams from last place at a competition no one ever heard about. Whether they just competed that new skill or it is oh look it is the same ROBHS we have seen for the past three years. As simple as this sounds I can assure you as a coach, many children over the years do not feel you think this way about them. I can tell from the way they look up to find your eyes when they mess up. How you handle their performance if it is less than perfect. How they drag their feet not wanting to leave the gym not because they don't want to leave but because they dread the ride home. Listen to your athlete without judgement. I have had so many parents speak of the big dreams they have for their child via sports and only to talk with the child and they say how much they hate the sport and want to do something else. Let me suggest to you that often they don't hate the sport they hate the PUSH the parents are making for or against them in the sport. They wouldn't mind if they learned to love it for themselves. But being forced to love something you don't...well as adults we know how that works out. They must learn to love it for themselves. Having an athlete is an investment. Of love. Of time. Of sacrifice. Of presence. Of memories. Of goals, dreams and accomplishments. Money is only a tool to accomplish the others. Don't get it twisted and miss out on the most beautiful part. For if you do "verily ye have your reward." If you feel like Prosper Athletics can answer any of your questions or help your family and your athlete in any way, please do not hesitate to contact us. 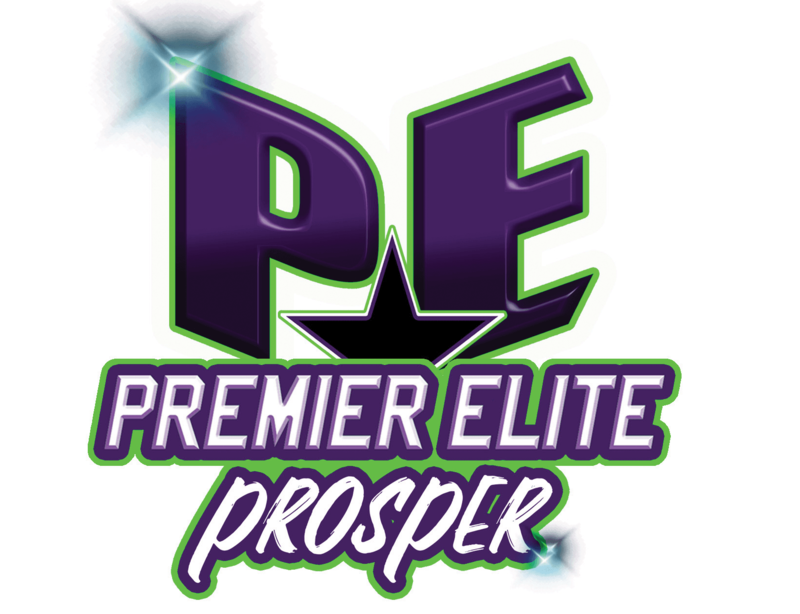 We can be reached @ 972-347-3444 or via email @ info@prosper-athletics.com. We are located in downtown Prosper, TX next to The Cotton Gin Cafe @ 208 W. Broadway St. Prosper, TX 75078.